“Sweet Wrapture” introduces to Australians to freshly made artisan soft waffle wraps, filled with fresh local seasonal fruit, delectable toppings and high quality Italian chocolates. 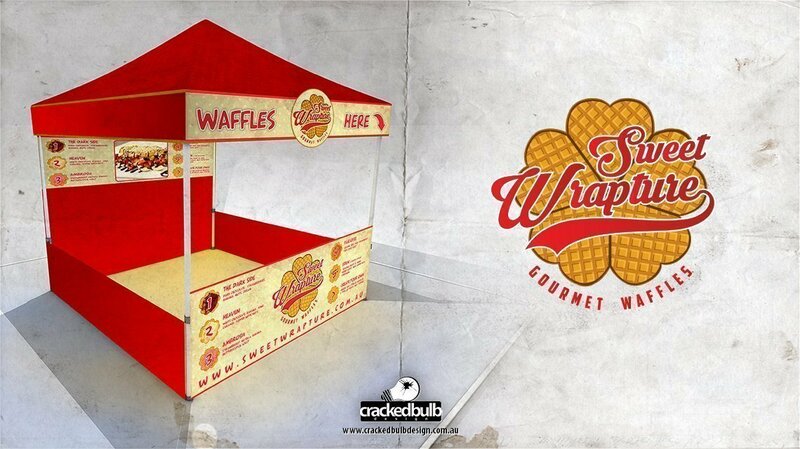 A big thanks to Sweet Wrapture for giving Cracked Bulb Design the opportunity to design their Market Stall and signage. Good quality service and work!